Samsung is showering great discounts on the Gear VR headset for the buyers of Galaxy S7 and Galaxy S7 edge. For these buyers, the Gear VR will be up for sale at Rs. 990. The offer will be active for the month of May only. To avail the scheme, the Galaxy S7 and Galaxy S7 edge buyers would be required to activate their devices by May 30. After the device activation, they will receive a unique code through My Galaxy app. The code will be applicable on Samsung’s official online store, after applying the code, the VR headset would be purchasable at Rs. 999. To recap, the Samsung Gear VR was launched in January, at Rs. 8,200. At the time of launch of the Galaxy S7 and Galaxy S7 edge smartphones in India, Samsung was offering the VR for free for the ones who pre-ordered the device. 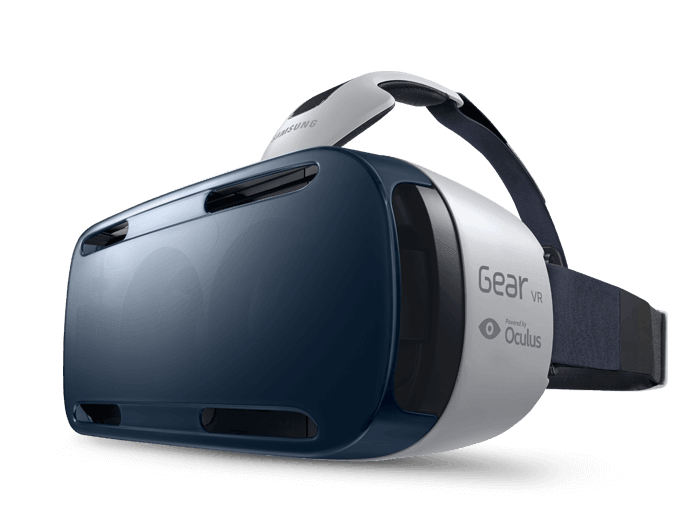 The Samsung Gear VR is a high-end virtual reality headset that can be used with Galaxy smartphones such as the Galaxy S7, Galaxy S7 edge, Galaxy Note 5, Galaxy S6 edge+, Galaxy S6, and the Galaxy S6 edge via microUSB . A compatible smartphone can be docked inside the headset and controlled through an exterior touch surface. It is powered by Oculus, and Samsung touts that this edition of the Gear VR is around 22% lighter than its predecessor Gear VR Innovator Edition. It comes with an enhanced touchpad that offers smooth control to easier control to access 360-degree videos, movies, gaming, and other virtual reality content available for the Gear VR.